Glucogel is a thick glucose gel in a tube,it is easily absorbed through the buccal mucosa. It is indicated in confused or drowsy patients, sometimes they are combatant. 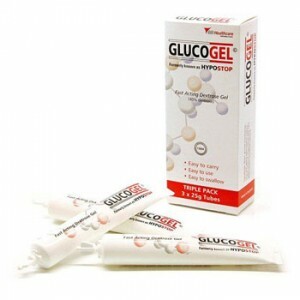 Give 1.5 to 2 tubes of Glucogel, squeezed into mouth between teeth and gums. Do not administer to patient if unconscious.